Em um bar de vinhos perto de Campo de 'Fiori, desfrute de uma sessão de degustação de vinhos de Roma e uma refeição leve, organizada pelo dono do bar e sommelier. Você experimentará seis vinhos da região do Lácio, além de saborear pães, massas frescas e sobremesas enquanto ouve sobre a culinária regional de Roma e a maior Lazio. Para mais comida, faça upgrade no momento da reserva para incluir uma hora extra no bar, durante a qual você pode desfrutar de pratos leves de queijo, salame, presunto e peixe defumado. Esta atividade de pequenos grupos é limitada a oito pessoas para uma experiência mais personalizada. Sua experiência gastronômica em Roma acontece em uma das famosas enotecas da cidade, localizadas perto do Campo de 'Fiori. Conheça o dono do bar e o sommelier, e sente-se à sua mesa para aprender sobre os vinhos e a culinária da região italiana de Lazio. Durante a sua degustação de vinhos, compare os sabores e aromas de seis diferentes vinhos da Lazio, acompanhados por um típico prato de massa romana como canelone ou lasanha em um molho de vinho branco (é costume na Itália comer algo ao beber álcool). É claro que também será servido pão italiano, além de sobremesa, que você poderá saborear com o recioto de amarone della Valpolicella, um vinho de sobremesa. Se a opção de atualização for selecionada no momento da reserva, sua experiência continuará com mais comida. Esta é uma oportunidade para desfrutar ainda mais delícias italianas, pois você é servido pratos que incluem Amuse-bouche, tomate bruschetta, massas alla carbonara vestido com tomate e azeitonas, pecorino romano queijo DOP, ricota fresca, porchetta (porco assado com alecrim), Salsicha romana, ciambelino al vino (bolachas de vinho) ou tozzetti (bolachas de amêndoa e limão). This was very overpriced and not worth the money. 4 white/rose and 2 red, and I didn't think any of the wines were super spectacular. Very little information was given about the wine, and the seating area was small and uncomfortable. The food was good and more than I was expecting, but you'd be better off just finding a wine bar and ordering for yourself. Probably cheaper and about the same amount of information as you'd read on a menu, the bottle, or a tasting sheet. This was like an evening with the professor of wine! The wine selection and food were amazing but the knowledge and passion of our host was extraordinary. I would do it weekly if I lived in Rome. We were part of a very amiable group of eight - some of whom had participated in the event previously. The owner was a joy, but a bit talkative. He went into such detail on the wines and the vineyards that some of us amateurs were lost and the narrative seemed to drag on a bit much. However, the food, the wines and the company were wonderful. Fantastic evening, would highly recommend. The bar is very easy to find and the owner Massimo is very welcoming and has such a passion for wine. We were both wine novices and he explained everything to us and we've came away with so much knowledge. Wine choices were fantastic as was the food. This was an excellent wine tasting experience. Massimo, the owner, was so informative and very passionate about Italian wines. This was one of our favorite things that we booked for our entire trip. We met a great couple and learned so many things. Massimo the owner of the restaurant is so friendly and knowledgeable. I've never met someone so passionate about what they do. We went back several times to get more wine and eat with him. Every time he suggested something different and told us all about the wine and the area it came from. The wine was always delicious and the food was great too! We got his info so that we can order wines from him. He hand picks all the wine that is sold in his place and everything is amazing! Avons été reçu par Massimo chef de l établissement et œnologue passionné. Étions 2. Très bonnes explications sur l histoire du vin et prosecco. 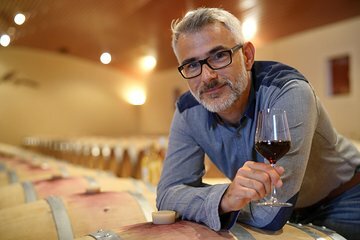 Dégustations sommaires car nous nous attendions à déguster de beaux grands vins et avons été déçus par la moitié des vins d origine biologique inconnue et locale. Le surclassement pour plats très basique, peu en quantité et très cher pour ce que c est hélas. Bonne découverte mais déception rapport qualité prix. This was the best experience we had in Rome for wine tasting, dinner and for an amazing wine sommelier, his name is Massimo and we had a great time in the wine bar. We actually had a private tasting because the other party didn't show up and that was great for us! The tasting included 6 wines and a desert wine, and the servings were full glasses, this was supposed to last 2.50 hours but we were there until midnight!! I recommended this amazing night out in Rome to everybody that loves wine! You get lots of good information about wineries in Italy. The sommelier was very good. But the venue was crowded, so it was very hard to hear what he said. We did paid for extra food, but didnt get any more food then the guests who had not paid for an upgrade. The only difference was that we got carpaccio When the others got cheese and Pork meat. It was sold to us as something better than it was.